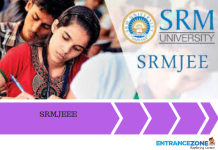 JEE Main 2018 (Paper 1 and Paper 2) will be held in the month of April 2018. CBSE has released the official date of JEE Main 2018. The Offline Examination (Pen and Paper Based) of JEE Main 2018 will take place on 08 April 2018. The coaching institutes such as FIITJEE, Allen Kota, Resonance, Aakash Institute, and more will provide the solutions of JEE Main 2018. The solutions are available in PDF format online. Some coaching institutes provide solutions for single code while others provide for all codes. 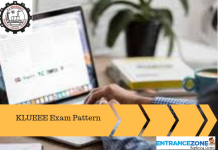 The aspiring candidates must read the below article for complete and detailed information related to JEE Main 2018 Solutions. The coaching institutes will release both. The difference between the both is that JEE Main 2018 Answer Key will consist of only the correct answer will be available while JEE Main 2018 Solved Paper will consist of the method to derive these answers. JEE Main Answer Key will be available by 4:00 PM or 5:00 PM, for Paper 1. For Paper 2, it will be available by 7:00 PM to 8:00 PM. The solutions will be available either by the end of the day or next day. CBSE will only provide the answer key of JEE Main 2018 but it will not release the solutions. The official answer key of JEE Main 2018 will be available by CBSE in the Second Week of April 2018 or Third Week of April 2018. All the answer keys and solutions by various coaching institutes will be available on this page. 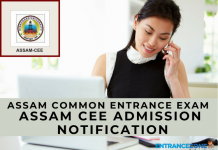 Also, the official answer key by CBSE will be available on this page. CBSE has not released the official details of JEE Main 2018 Solutions. The information available on this page is according to the JEE Main 2017 Information Brochure. 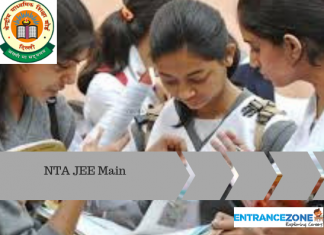 As soon as JEE Main 2018 Information Brochure is available, the exact details will be available on this page. Stay tuned with EntranceZone for more updates and information related to JEE Main 2018. Previous articleHow to get admission in B.Arch at Architecture College of India?